Chia seeds are the most amazing superfoods, not just because of their mass of health benefits (that I shall get onto later), but because they have the ability to soak up liquid and expand by about 12 times their original size! 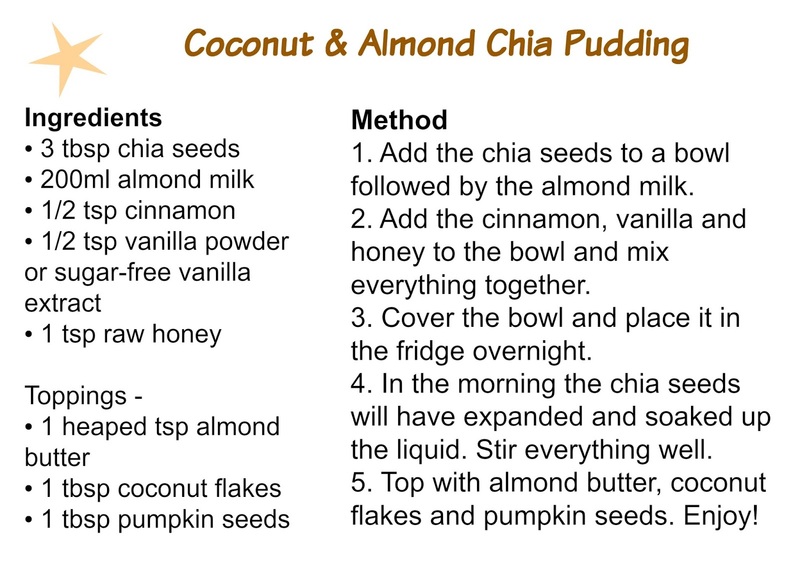 This results in the most amazing pudding consistency and when mixed with delicious natural sweeteners, spices, fruits, etc creates an amazing taste and texture you can't help but love. 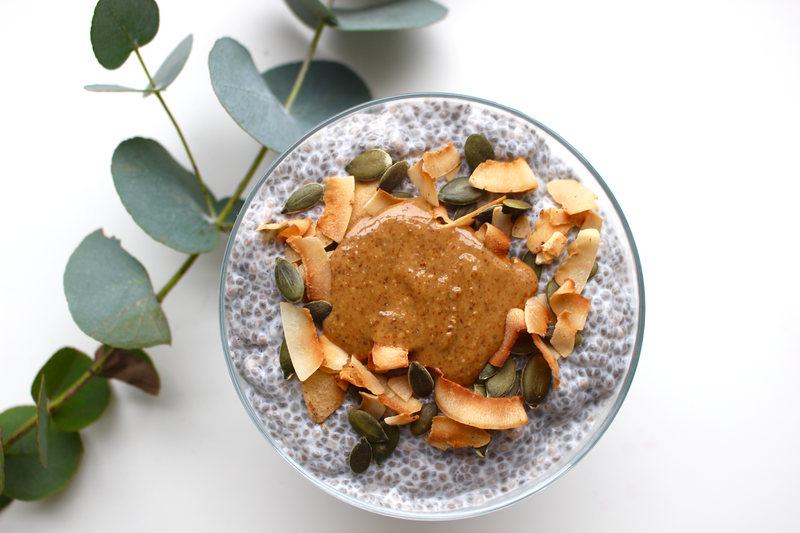 I like to experiment with different flavours in my chia pudding but my go-to at the moment is this coconut & almond chia pudding - it's so creamy, so rich and so bursting with nourishing plant-power for your mind and body! 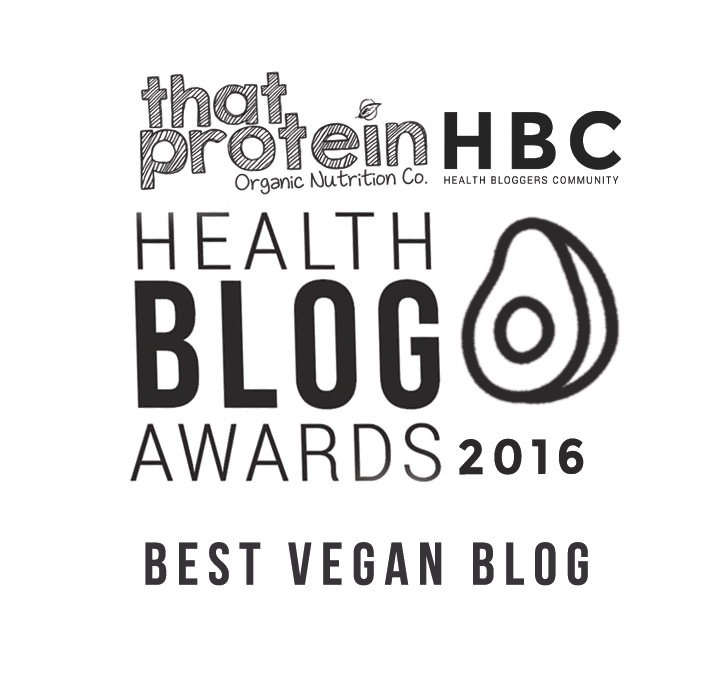 Chia seeds are so worthy of their 'superfood' title and despite being so tiny they certainly pack a punch with their goodness! Chia seeds are the highest plant based source of omega-3 fatty acids which are vital for heart health and lowering blood pressure & cholesterol. They're also bursting with iron, calcium, magnesium, potassium, antioxidants and zinc which all help to keep your skin, hair and nails healthy, your bones strong, your metabolism functioning well and your brain happy. Not only this but chia seeds are loaded with all important fibre, in fact just 2 tablespoons provides you with half your daily fibre requirement. I soaked my chia seeds in vanilla, cinnamon and honey which makes they super creamy, sweet and delicious then topped the chia pudding with toasted coconut flakes, pumpkin seeds and almond butter. Yes, this breakfast (or snack) is high in fat but it's the good fat that is essential for our beautiful bodies. 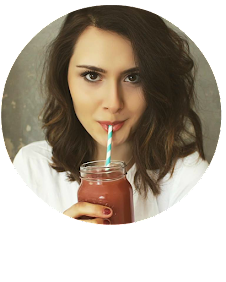 So many people fear fat but the fats in this chia pudding will provide you with energy, help you absorb vitamins, regulate your body temperate, help your skin to glow, decrease your risk of heart disease, up your happiness levels and protect your magical cells. Healthy fats also help you to burn unwanted fats in the body, so don't banish then from your diet because you think they'll make you put on weight!